The rise in popularity of body sculpting can be attributed to two main factors: improved non-surgical treatment results and a population that values investing in themselves. The truSculpt 3D body sculpting device is ideal for patients and practitioners alike. truSculpt 3D is a unique, non-invasive, Monopolar RF system optimized to deliver Targeted, Repeatable and Uniform sculpting of problem areas for a TRU 3D result with no visual downtime. 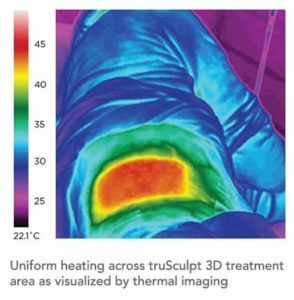 truSculpt 3D takes a multi-dimensional approach to decrease circumference and eliminate fat cells, by delivering and holding clinically therapeutic temperatures to the subcutaneous adipose tissue to achieve the clinical efficacy in the shortest possible treatment time with enhanced safety and comfort. 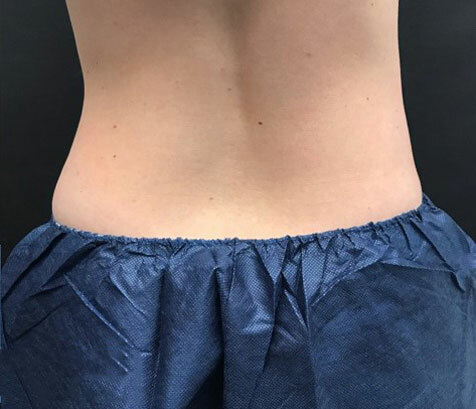 truSculpt 3D glide technique offers consistently impressive results – an average of 24% fat reduction, in a short treatment time over a large treatment zone.1 One 60-minute session provides clinically proven results in the most common treatment areas — the abdomen and flanks. 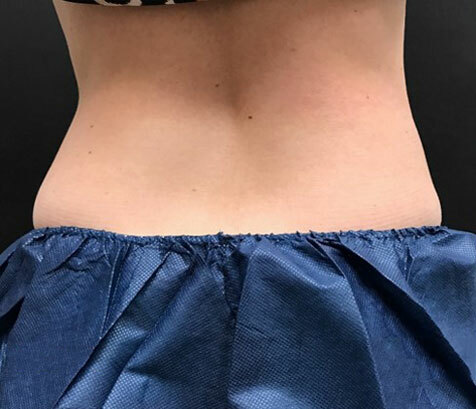 The truSculpt 3D system uses a low frequency and high conductivity radiofrequency (RF) technology for deep penetration to treat the entire fat layer from skin to muscle while maintaining a comfortable surface temperature for patients. 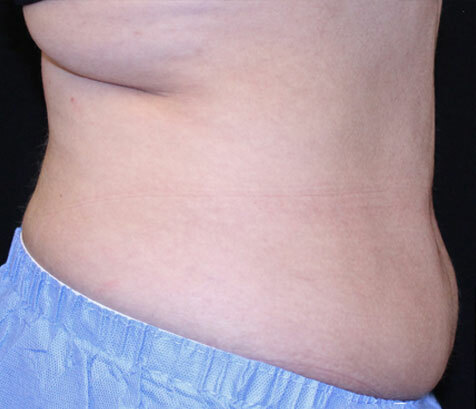 The fat cells are slowly removed and excreted through the body naturally. 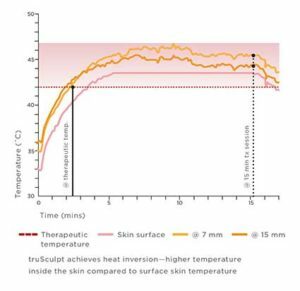 truSculpt 3D features a proprietary closed-loop temperature feedback mechanism that ensures therapeutic temperatures are met throughout each treatment. This means your patients are comfortable while consistently achieving results. 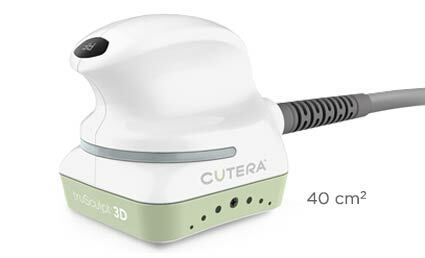 truSculpt 3D’s patented handpiece design delivers uniform heat to the targeted area. The signature design eliminates potential hot spots and not only enhances patient safety and comfort but ensures that your patients get results. Now you can offer your patients the look they want with a fast, comfortable, non-invasive procedure. For use in a gliding motion over fat pockets contained within the small, medium or large treatment templates. Handpiece covers up to a 576 cm2 treatment area on the abdomen and flanks in 60 minutes. For use with a stationary placement over soft tissue in areas that are smaller than the templates or anatomically difficult areas. The 16 cm2 handpiece covers petite treatment areas in 5 minutes.